My best friend was having a superhero bachelorette Party in Vegas. I wanted something more accurate then the ones they sell at the store. 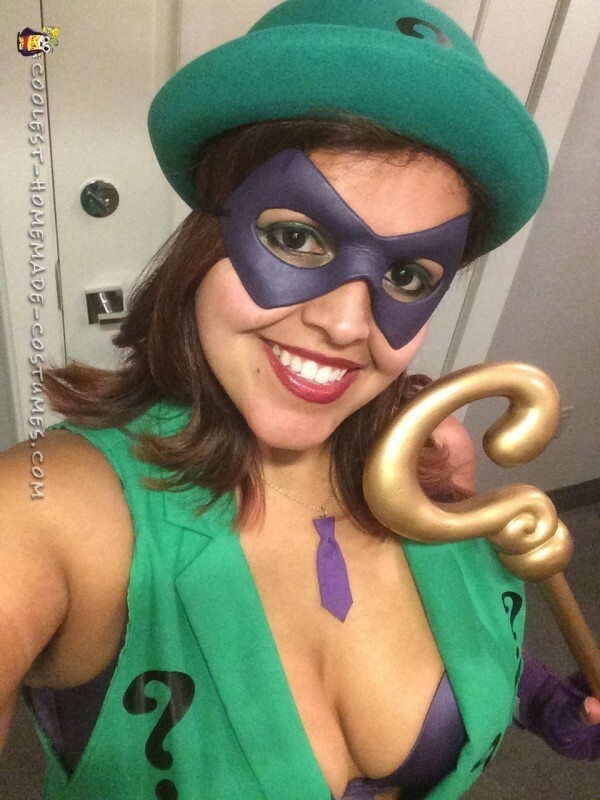 For this women’s Riddler costume I ended up ordering a men’s blazer and turned it into a vest. 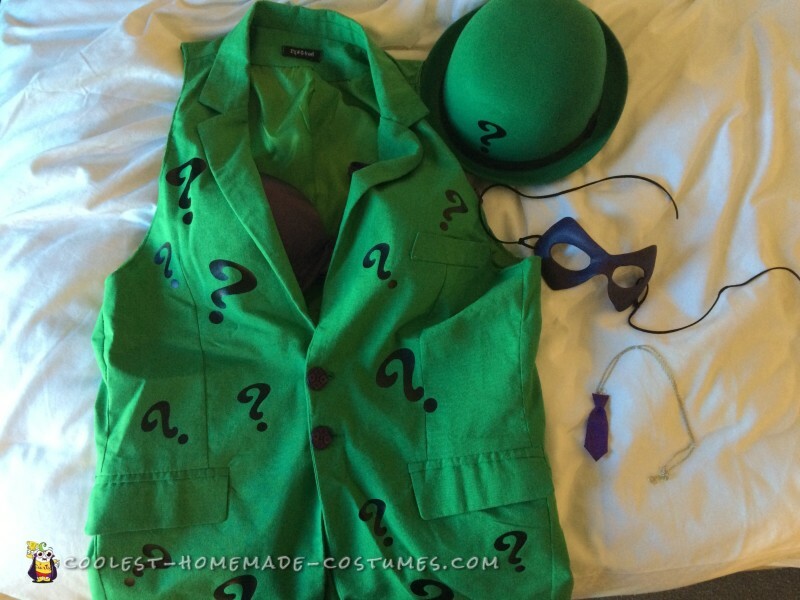 I got the hat and added question marks to the vest and hat with vinyl iron on materials. I can’t wait for another event to wear it to.